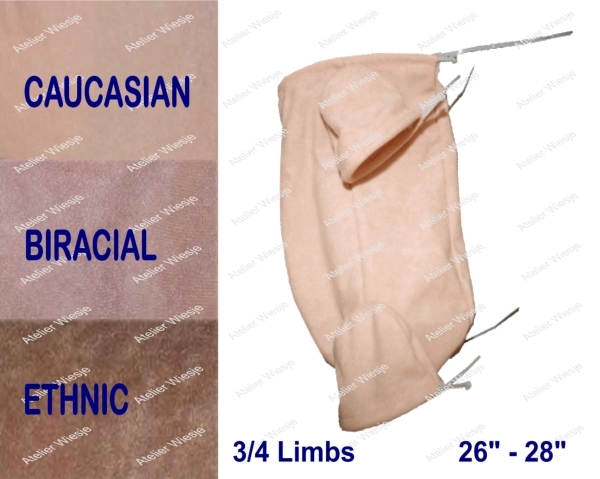 Suitable to make an 26"-28" finished reborn doll. The kind of body slip you use will strongly impact the feel of your baby nestled in your arms. Comes with pre-inserted ty-wraps for attaching the 3/4 length vinyl limbs to the body slip. Includes pre-inserted ty-wraps for attaching the limbs to the body slip.